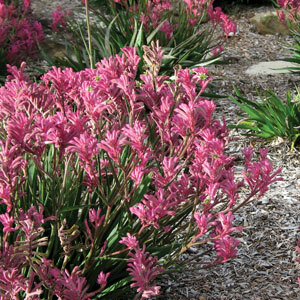 Kangaroo Paw Bush Pearl is a Dwarf Kangaroo Paw that is well suited to pots and tubs due to its prolific flowering habit. Bird attracting soft pink flowers are borne above the strappy green foliage for most of the year if regularly dead headed. Long lasting flowers are very suitable for cut flowers.